Данилов С. Ю., Черкасов А. И. Двенадцать лиц Канады. — М.: Мысль, 1987. Boulton, Charles A. (1886) Reminiscences of the North-West Rebellions. Toronto. Online text. A first person account of the rebellions. Brown, Chester. Louis Riel: A Comic-strip Biography. — Drawn and Quarterly, Montreal, 2003. — ISBN 1-896597-63-7. A biography of Riel in the form of a graphic novel. Careless, J.M.S. Canada: A story of challenge. — Stoddart, 1991. — ISBN 0-7736-7354-7. A survey of Canadian history. Flanagan, Thomas. Riel and the Rebellion. — Western Producer Prairie Books, Saskatoon, 1983. — ISBN 0-88833-108-8. Flanagan, Thomas. Louis Riel. — Canadian Historical Association, Ottawa, 1992. — ISBN 0-88798-180-1. A short work highlighting the complexity of Riel’s character. Interpretations are available. Flanagan, Thomas. Louis 'David' Riel: prophet of the new world. — University of Toronto Press, Toronto, 1979. — ISBN 0-88780-118-8. An influential work suggesting parallels between Riel’s following and Millenarianism. George R. D. Goulet. 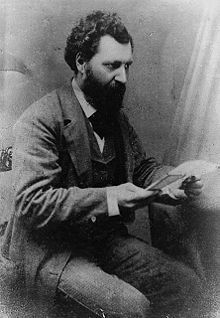 The Trial of Louis Riel, Justice and Mercy Denied. — FabJob, Calgary, 2005. — ISBN 1-894638-70-0. A critical legal and political analysis of Riel’s 1885 high treason trial. Riel, Louis. The collected writings of Louis Riel. — ed. George Stanley. University of Alberta Press, Edmonton, 1985. — ISBN 0-88864-091-9. Riel’s own writings and letters. Siggins, Maggie. Riel: a life of revolution. — HarperCollins, Toronto, 1994. — ISBN 0-00-215792-6. A sympathetic reevaluation of Riel drawing heavily on his own writings. Stanley, George. Louis Riel. — McGraw-Hill Ryerson, Toronto, 1963. — ISBN 0-07-092961-0. A standard Riel biography, covering most of the material in this article; source where no other is cited. ↑ 3,0 3,1 3,2 Dictionary of Canadian Biography, Dictionnaire biographique du Canada / G. W. Brown — University of Toronto Press, Presses de l'Université Laval, 1959. ↑ Ֆրանսիայի ազգային գրադարան — 1994. ↑ for this section, see Stanley, Louis Riel, pp. 13-34. ↑ 12 лиц Канады. — Мысль. — С. 228.